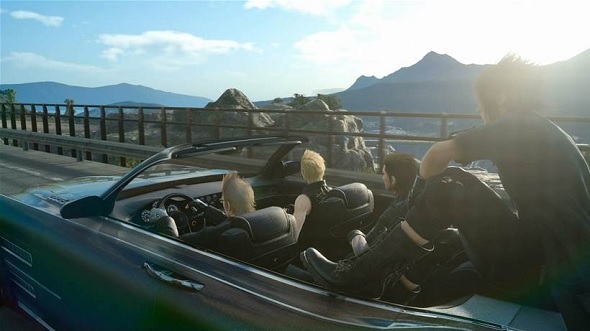 One of the most overlooked characters in Final Fantasy XV is the Regalia; the car used by Noctis and his big-haired friends to travel across the world of Eos. Yes, I just called the car a character. I am not the only one to do this. 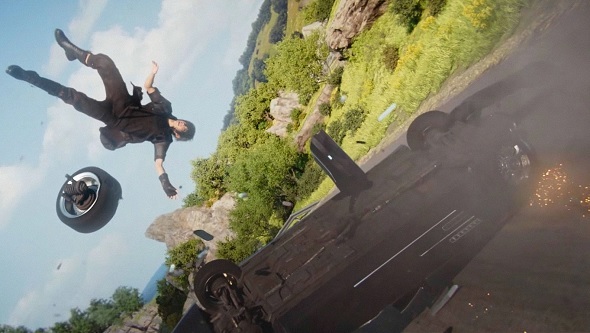 Even the game’s director Hajime Tabata suggested that the car should be thought of as an additional party member. It, too, travels around in a smog of hair spray and is dressed all in black, after all. There is plenty of material in the game to support this argument. For instance, the Regalia is given its own backstory and coming-of-age journey over the course of Final Fantasy XV. At the very start, we are shown the vehicle’s flaws as it breaks down, forcing its passengers to get out and push it for miles to the nearest gas station. What if the Regalia could talk? We should put that in our Final Fantasy XV mod wishlist. But the Regalia overcomes this tragedy and is soon back on the road where it gets busy pushing verdant, spectacular landscapes past its stylishly angular windows. Eventually, you are able to customise its appearance, upgrade its wheels and motor, and even give it the power of flight. In time, you can turn the Regalia into the supercar of your dreams. All this helps you to become more invested in the Regalia rather than see it as nothing more than a way of getting from A to B. I felt this when I played through the game, at least. Putting time and in-game money into improving the Regalia, just as I did Noctis and his pals, gave me a real sense of ownership over the car. I fostered a personal connection between myself and that chunky lump of machinery. The Regalia is much more than just a mode of transport, then. But it is also more than a fifth member of the gang. It actually does a lot of the heavy lifting for the narrative, acting as an easy metaphor for Noctis’s newfound independence. 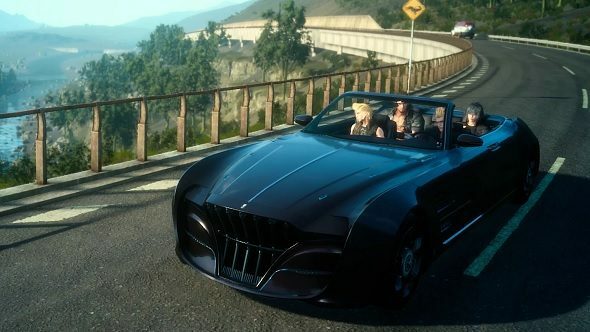 Plus, given that the Regalia was gifted to Noctis by his father, the king – who dies shortly after – it is a symbol of the responsibility he has inherited from his royal family. In fact, to take this further, the Regalia is a representative of the game’s central conflict between personal freedom and family legacy. The Regalia is a luxury item and one that many who reside in Eos would not be able to afford. It is sleek, modern, and has a comfortable leather interior, perfect for ferrying its passengers across the map. It gives Noctis a way to explore the lands that will one day be his and reminds him that he has huge shoes to fill. But it also coddles the prince, inhibiting his growth, shielding him from the harsher realities of life. He has been sent out to experience the world in all its might and majesty but does so from a position of extreme comfort – literally a plush leather seat. The game reinforces this idea through the team’s reaction to the car being taken away in chapter five, with many of the routes now blocked off and progress grinding to a halt. Noctis cares deeply about the Regalia and feels like he needs it to advance. So much so, in fact, that he goes to great lengths to protect it, as evidenced by him and his friends infiltrating a heavily guarded military base in order to retrieve it. Throughout the game it is made clear that Noctis feels he is not good enough to succeed his father. We watch him as he struggles to negotiate diplomatic situations in Altissia and articulate his feelings to his friends. His lack of confidence, coupled with the loss of his father, is what makes him so attached to the Regalia – he is taught to rely heavily on outside parties for support. It is not until later in chapter 13, when the Regalia is finally destroyed, that we finally see Noctis put aside these fears and learn what it means to be a leader. Following on from the destruction of the Regalia, he is stripped of his powers, along with all the wealth and prestige afforded to him by his position. It is an emotional moment for Noctis as he breaks free from his old life, his childhood, and learns to rely on himself for strength. 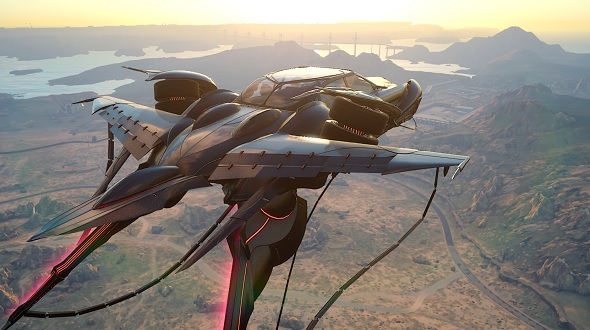 The lingering shots of the Regalia’s busted hood and the experience of being inside the car as it is bombarded by missiles is absolutely punishing for us too, as players who have grown to love the vehicle. Its demise is treated with the same level of drama and despair that would be afforded one of the central cast had they been killed. It even gets roughly the same amount of screen time as other significant character deaths. Sure, Aeris’s death will forever overshadow this moment, but the tragedy is no less profound. Goodbye, Regalia, you will be missed.